Barking is one way of communication that all dogs use, and it means different things depending on the scenario. Sometimes it can go out of control, and when this happens, it is your job to find out why your dog is barking so much or often to stop him/ her and control the situation. Fact One: It is natural, Dogs bark. Fact Two: A dog barking is not necessarily a dangerous dog. Fact Three: Excessive and out-of-control Barking can test our patience. So what is going on with the excessive barking? As a signal of distress sent by your dog, it is a message to you for something happening. Why do dogs bark? 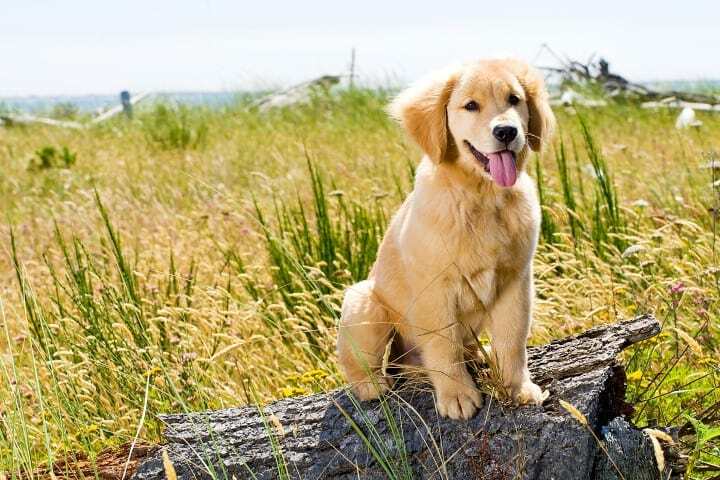 As part of the standard behavior of a dog, they can bark for a good reason such as a stranger approaching your house or for an unknown noise inside the house. But dogs can bark for other reasons that cannot be appropriate. 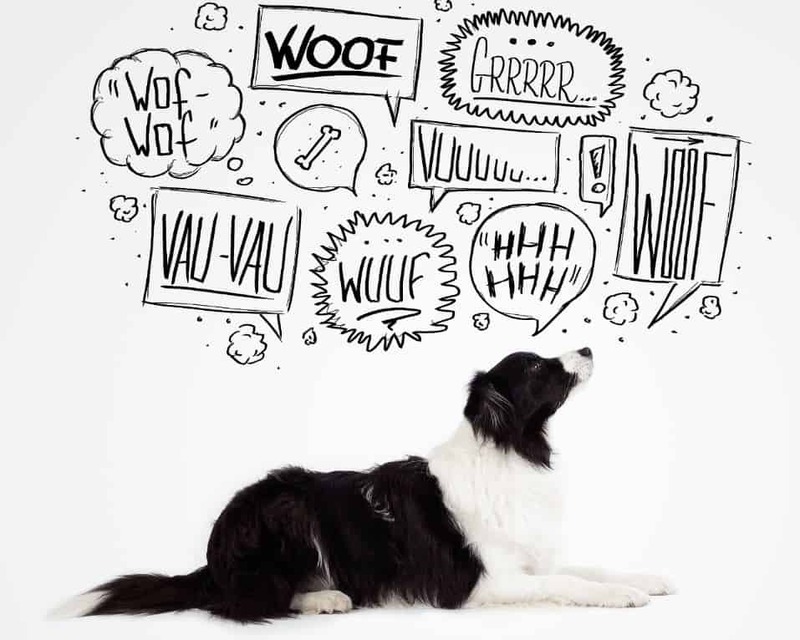 To find if there is an issue with your dog barking, let’s review first how they communicate. All canines like Dogs and wolves use different vocal communication. Puppies make a kind of mewing at the time of looking for warmth or food. Also, you can identify when a puppy is frustrated when you hear a loud crying sound. Growling: Used as a sign of warning, defense, aggression, the feeling of threat or dominance. But also may be used when the dog is playing. You can see the difference in taking attention of the body language of the dog. Grunts, it could express joy and happiness but also may be a sign of hard breathing or pain. Whines or whimpers, to greet other dogs, if they are in pain or frustrated, want to get attention (typical) or show submission. Barking, Common in dogs more than wolfs or other canines. Depending on the breed it may be part of the watchdog tasks used to defend a territory or to warn or alert other dogs or people. But there are other reasons dogs bark. People misunderstand this kind of barking often. Fear barking may sound aggressive and can be identified as a threat, but it’s just a dog trying to create space between himself and what is triggering the fear. Encouraged by some dog owners. This barking is low in pitch often combined with growls. It is essential to understand the difference between barks for warning and fear barks. Triggered by the feel of invading the dog’s territory or for a threat. 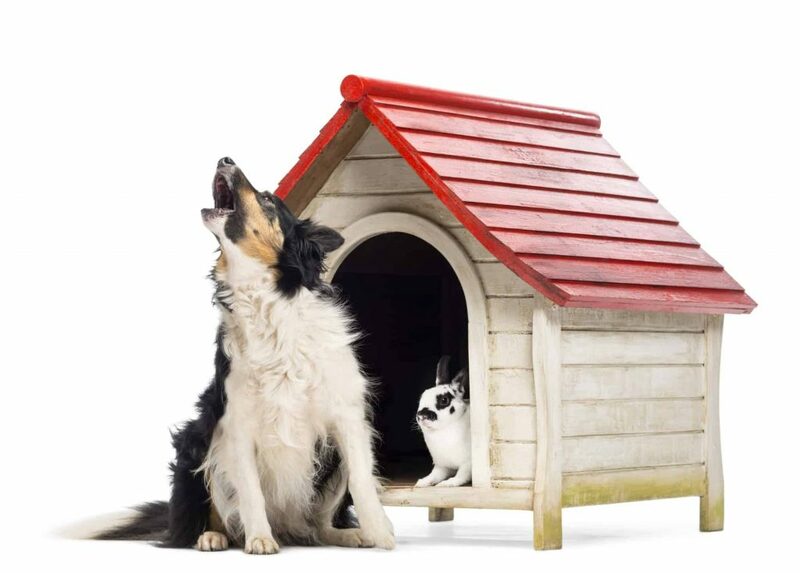 The aggressiveness and loudness of the barking could increase if the danger gets closer to the dog or his territory. 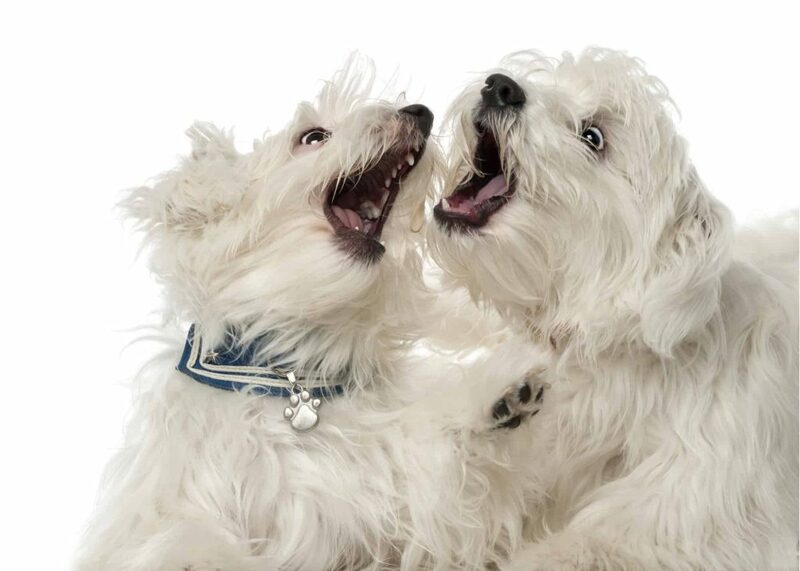 This way of barking may happen anywhere and not only in the dog’s territory. Some dogs bark as a response to anything that catches their attention (noises or objects). Dog barkers just want a way to release their energy accumulated due to the lack of exercise, entertainment, and a more stimulating environment. These barks are short and sharp and common when a dog wants to play or is too excited and having a good time. Dogs can bark stimulated by anxiety in a high pitch. This is the bark that may bother your neighbors. As a way of communicating with other dogs, they can bark saying ” Hi there, I am over here.” Triggered by the other dogs barking and stop after a while by itself. Some dogs don’t like to be alone, this way of barking it is not the same as the barking due to separation anxiety. It can be managed easier offering something to get your dog distracted like a toy, music environment, the tv on, etc. It is a response to movements or sounds that are not familiar to the dog. It is easy to correct with simple commands, but you need to control this barking as soon as possible to avoid the dog creates a habit. Dogs also can joyful bark when an event they like will happen. It can be triggered by showing a leash to get them out, feeding time, the sound of the car keys or the moment you get the poop bags. Most Barks is normal, and it is a standard dogs behavior, but sometimes, it can be turned in to pathological behavior. Compulsive barkers use to bark after hearing their barks. They run in circles or along a fence often. There is not a difference between female and male excessive barkers regarding percentage but there is a variable, and it is the breed of the dog. For example Terriers, Beagles, and some other herding breeds bark more than Poodles, Boxers or Collies. Taking this into consideration will help you to understand why dogs bark and the type of dog barkers excluding what kind of breed they are. This is the typical Dog that always barks when they see the postman approaching. Their behavior is reinforced through repetitive events. To change this behavior, you need to overcome this reinforcement. To prevent the reinforcement of this behavior, we must not reward the dog for any barking meaning. If the dog barks because is thirsty or wants to eat and we feed him/her or give them water, we are rewarding this behavior. If ignore the barking but give up to stop the barks, the dog will learn that short barks will not work but extended and excessive barking will. So after the dog let us know there is a stranger close with one or two barks, allow the dog to know it was OK for warning us but now we have the control. Some barkers start with a warning or Alert bark, but the behaviors change and progress to a bark associated with fear. This is the typical scenario it happens with strangers due to the fear of people the dog doesn’t know. The best way to change this behavior is by creating an environment of trust between the dog and unfamiliar people for him/her. Only when your dog is calm and quiet, let people approach slowly but confident, and while your dog is relaxed, give him/her some treats. When people come closer, tell them to throw treats on your dog’s way, so he/she will associate people and positive things happening. Once this trick works (sometimes it will take longer than others) take your dog for walks around the park to see new people and socialize more. If you notice your dog bark at strangers, do not reinforce it. Make him calm and take him/her back to start the process again. Remember, that changing a dog behavior needs patience from your side but in the time your dog will turn, don’t worry. Dogs are smart, and they will learn that barking will get our attention. The issue is that it doesn’t matter if they receive positive or negative attention, they will be happy with it as they accomplish what they planned to get. Just think, even the typical firm word “No” coming from our mouth is still attention, so the dog accomplishes his/her goal, and we reinforced this behavior. Some dogs get very excited during the play time and bark without control. The best way to manage this situation is by letting them calm down and stop or slow down the game. If the dog keeps barking use, the same strategy that is is for attention seeking barkers and ignored it; the dog will give up and stop. It often happens where there is more of one dog in a house. And Always there is an instigator and the followers!. When there are multiple dogs, sometimes it may be difficult to control. 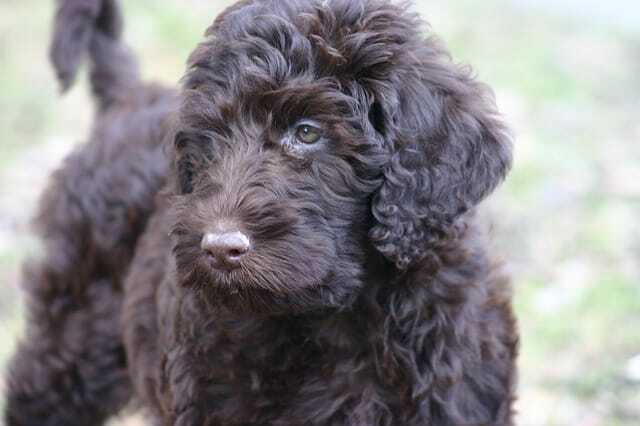 These barkers can be managed with relaxation and obedience methods. The easiest way to stop this barking is using toys to get the dogs distracted replacing the barking behaviors for playing. Try to identify the instigator and work with him; the other dogs will follow him/her but make sure you have enough toys for everyone to avoid a territorial behavior with the toy. Dogs can bark if they are bored, some dogs can sense symptoms of separation anxiety. These barkers use to fall in a vicious circle: The more lonely they feel, they bark more, as they get more upset, they bark more, then the barking get your dog more upset so they bark even more and the cycle starts over again. They need to be in an environment that makes them feel more stimulated and active. A dog tired is less likely to be bored. Exercise, regular play time and toys such as buster cubes with treats inside and the classic kong dog toy can get your dog’s body and brain occupied. Also sometimes leaving lights on or soft music (especially music for dogs) when you leave the house helps with the environment that gets your dog bored. Applying the same techniques used to control the alert/warning barkers work with this type of barkers. Teaching them the one command word “Stop” or “Enough” will help a lot manage this situation. An excellent technique to do it is recording those sounds that start your dog barking. Once you get it, you can play it softly in front of your dog so he/she can hear it but still feel relaxed. Reward your dog if stays relaxed (with dog treats, petting, etc.) they will associate good behavior with rewarding. Increase the volume gradually during the days and weeks and repeat the process. You will see the time when your dog will be not startled into barking anymore will come. Barking can be considered as “pathologic” or abnormal due to an obsessive-compulsive behavior of separation anxiety where a dog can bark out of control. 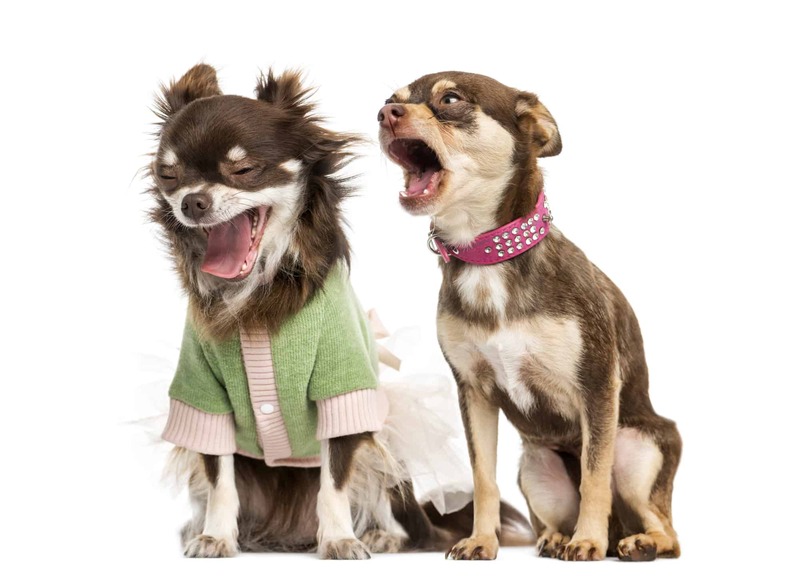 Understanding why dogs bark in these situations may be hard, so it is better to search for professional advice with a veterinarian and an animal behaviorist. 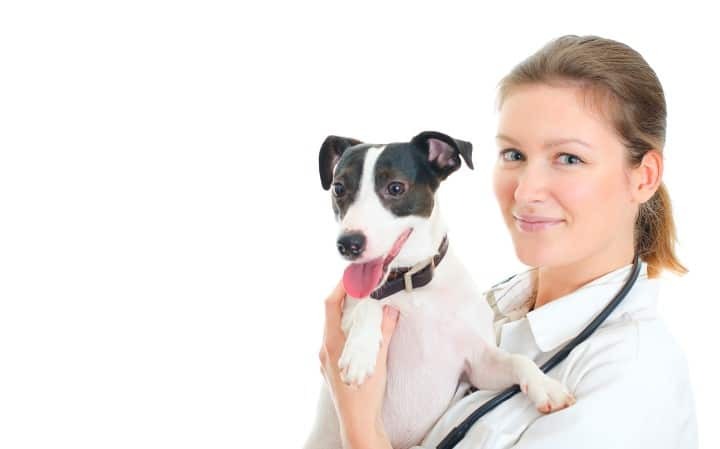 The veterinarian will provide insights and prescribe the right medication to help your dog to be more responsive to the behavior modification suggested for the trainer. Stay Calm: (For all type of barkers) Keep the control, if you are frustrated your dog will too! Do not yell: (for alarm, fear, and play barkers) talk firmly but do not shout; it will make your dog to bark more. Cover the view of your dog from doors and windows: (for alarm and territorial barkers) Eliminating this triggering will solve the reason why dogs bark to windows and doors at home. Use a white noise machine or the tv: (for alarm and territorial barkers) it will distract your dog from people passing by and delivery trucks. Teach the “hush” command: (for territorial barkers, alarm barkers, and excitement/play barkers) Teaching the command “hush” to your dog may short-circuit the process and would make them focus on other things. Exercise: (for all type of barkers) Remember, a tired dog is always a good dog! Reward when there is not barking: (for all type of barkers) Your dog will associate not barking is good! There are different options of dog collars on the market. Some produce electrical stimulation, others an in-depth ultrasound and there are others that will release substances when the dog is barking that will make them stop. Shock collars, which deliver electrical stimulation to your dog, are considered the most effective device to stop dog barkers by several trainers. Also, only the pet wearing it can feel the effect. It is recommendable to use it with your supervision and under your professional trainer guidelines and advice. Spray Bark Collars, the most common is the citronella spray collar, it works with some dogs, especially indoor pets as it can be triggered by the barking of other dogs around. High Pitch Sound Collars, It will produce ultrasound with a pitch that only a dog can hear and will distract from barking. These collars are useful if you have one or more dogs that bark as a pack as all of them may hear the high pitch sound. There is also a variation, the ultrasonic bark controller that can be used indoors and it is very helpful with more of one dog. 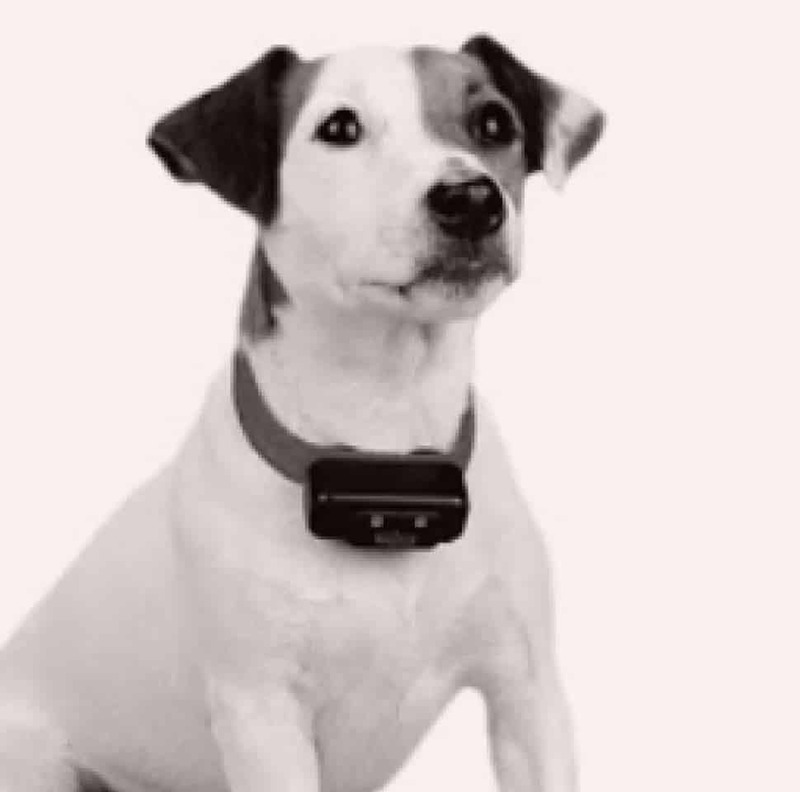 Remember, a bark-control collar will stop the barking but will not reward the dog to reinforce the right behavior. So it will stop the issue but will not correct the reason why dogs bark. Dogs can not learn proper behaviors if someone is not there to teach them. This is a controversial method considered inhuman for many people where the vocal cords of your dog are removed with a surgical procedure. And this is important: Debarking will NOT change the main issue that is bad behavior! It will not stop the barking behavior; it will make the barking sound different. 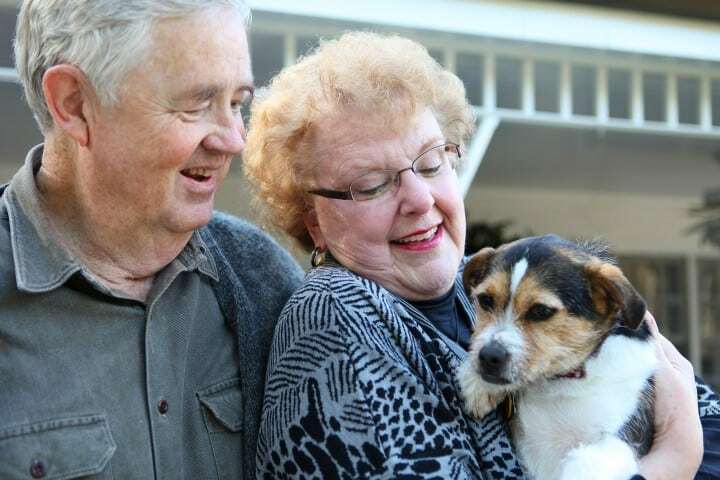 Dogs after the surgical procedure will still try to bark, and they most likely will produce a raspy bark instead (even more irritating for some people than the barking sound itself). Also, side effects may appear like breathing difficulties, ongoing pain or risk of choking. So if you are thinking about this alternative, you should consider twice and search for the advice of your professional vet. Having a better understanding of why dogs bark and what it triggers their behavior will help you control and stop excessive barking. Just remember it doesn’t mean your dog is good or bad, it is just the way they communicate that need to be trained to end this habit.